Spider-Man, the X-Men, the Fantastic Four, Iron Man, the Incredible Hulk and the Avengers all share a common trait - these hugely popular Marvel Comics superheroes were co-created by the legendary Stan Lee. Now, Lee shows artists everything they'll need to make their own mighty superheroes, just like his classic creations. 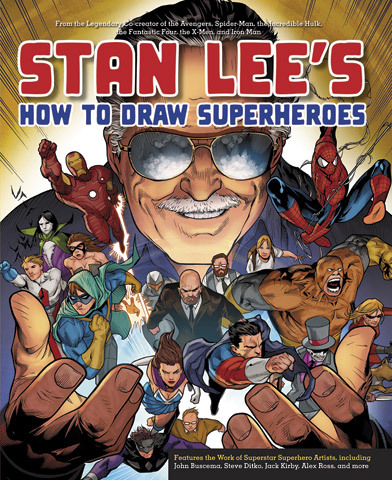 In this 224-page book, Lee exposes his secret tools and techniques for bringing strong, inspiring heroes and heroines to life. He even shows aspiring creators how to expand their super-universes with evil villains, trusty sidekicks, brutes and monsters, super-pets, secret hideouts and more. These invaluable insights from one of the greatest superhero creators of all time are must-haves for all fans of Lee's legendary superhero comic work.